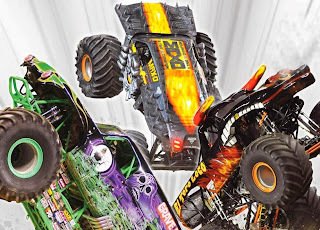 Enter below to enter to win a Family 4 pack of tickets to the Monster Jam at Ford Field in Detroit this Saturday. 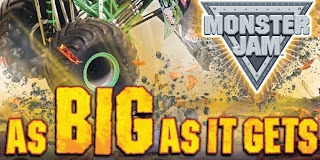 Monster Jam®, starring the biggest performers on four wheels: Monster Jam monster trucks! 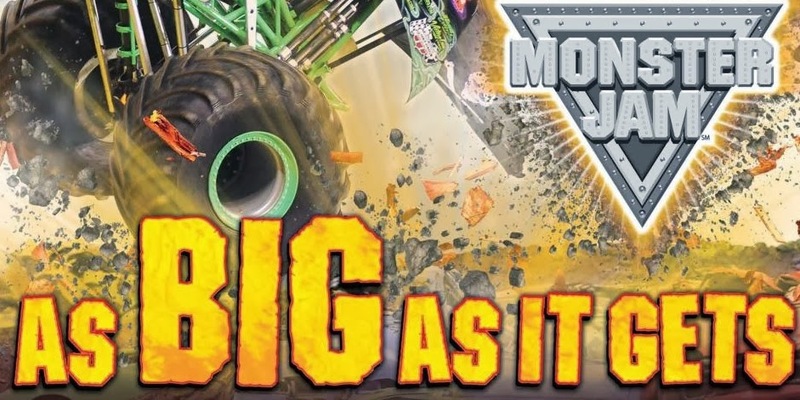 The twelve-feet-tall, ten-thousand-pound machines will bring you to your feet, racing and ripping up a custom-designed track full of obstacles to soar over or smash through! Monster Jam provides a massive night’s entertainment tailored perfectly for your family’s budget, and these colorful, larger-than-life beasts are sure to capture the hearts of both young and old. You can save the hassle and purchase Tickets using a special promo code MOM5 to get a discount. CLICK HERE to get that special deal. PARTY IN THE PITS from 2-5 PM. Meet the drivers, get autographs! Pit Party tickets are $10 each and can be purchased along with your show tickets on ticketmaster.com or on the day of the event at the Ford Field Box Office. 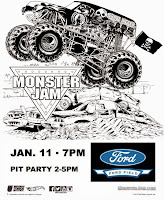 Click the picture to get a coloring page to take with you the the Monster Jam. Disclaimers: Promo Code Valid on the $25 and $20 price levels only. Not valid with any other offer or discount. Discount NOT valid on Pit Passes. Must purchase via Ticketmaster.com or charge by phone at (800) 745-3000. Limit 8 tickets per order.